The band is always delighted to help charity and community events go with a swing. We do not charge for playing and, whilst small donations will be gratefully received, there is no obligation to offer one if you do book us to perform. 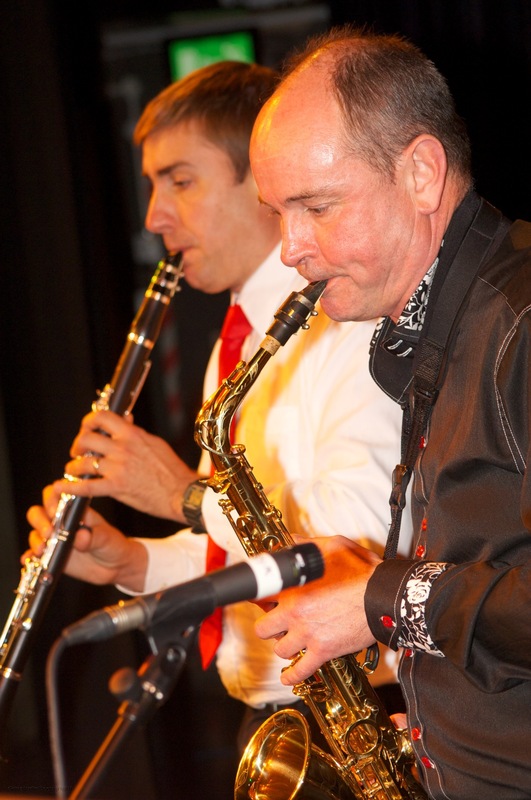 Whether you are planning a dinner dance, a street party or a fund-raising barbeque we can play a programme to suit. Our playlist covers music from the classic period of jazz, popular latin numbers, and some more modern songs. From Duke Ellington to Herbie Hancock there will be plenty for you to enjoy. Please use this Contact Form for Bookings and Enquiries.